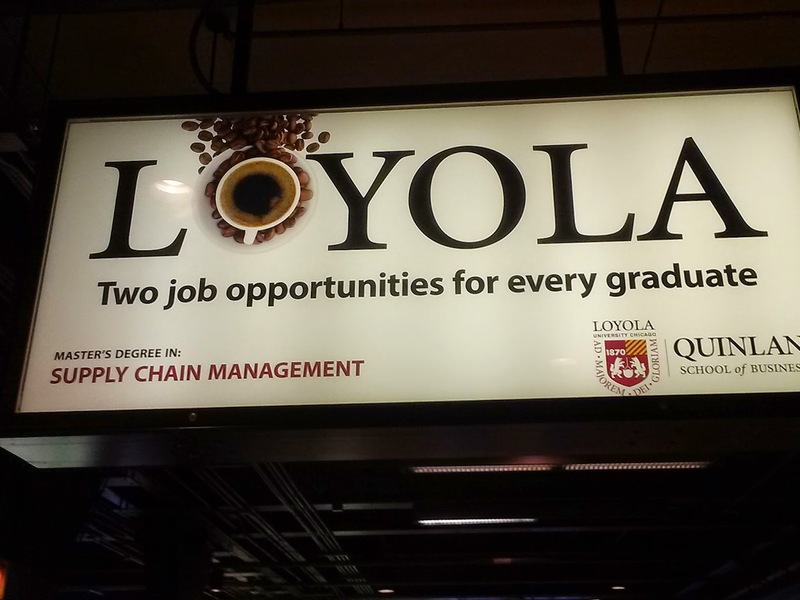 Loyola University of Chicago is doing an ad campaign that's all over the Loop. But it's mysterious to me. Here, they contend there are two job offers for every student, but show a cup of coffee. So, after you graduate with that business degree, you can still keep working at Starbucks?